I had no plans of publishing this here, it was used as the banner heading of another web site. I did like the reed reflections and motion from the bird swimming along. 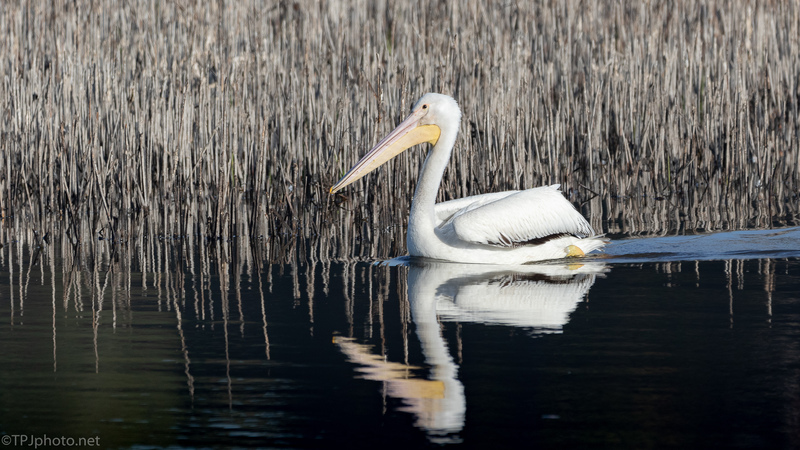 Anyway, a White Pelican. Thanks. The basics are there, I liked it too. I’m not a big fan of White Pelicans but all the pieces were there. Besides…who doesn’t (really) like a Pelican LOL.